I love styling, creative people, Paris and beautiful pictures so you can imagine my delight when I came across lesescretaudrey which is the journal of French photographer, Audrey. 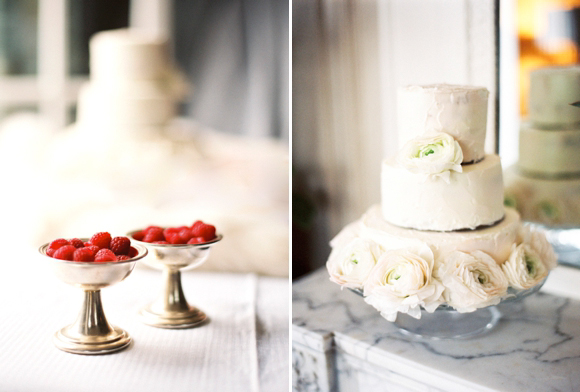 I adore her photography and the styling for her beautiful party is exquisite....enjoy! The photographs speak for themselves and the beautiful, romantic styling from the very talented Annie Brahler (just happens to be a friend of Audrey) euro-trash is exquisite! Take a look at all the wonderful details....handwritten invitations. Beautiful, fresh, flawless raspberries just waiting to pop into the very perfect Laurent Perriere bubbles. 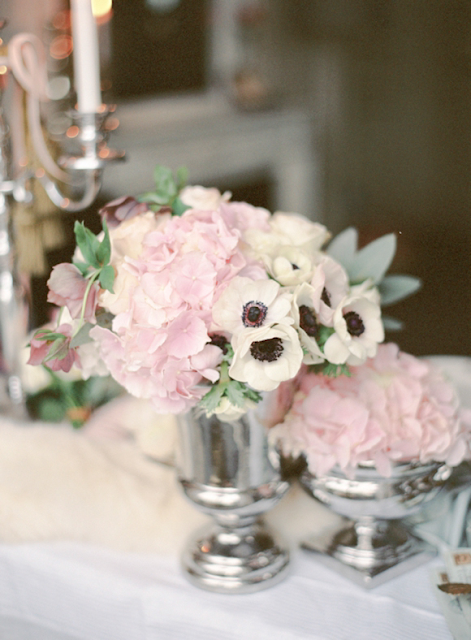 Little silver bowls of blush hydrangeas and white anenome, a pretty handmade cake and a the most beautifully styled table to die for. 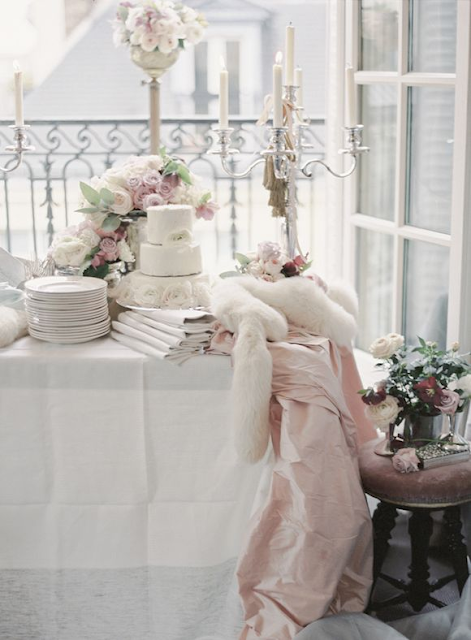 Simple, effortless just thrown together (although I very much doubt it) continuing with the palest of blush colour scheme with more gorgeous flowers, silver candleabras, crisp white linen, draped pale pink silk and (dare I say it) white fur! 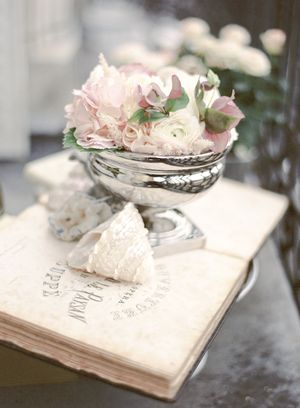 One hundred percent my cup of tea, it has romance, elegance, prettiness and a whole big heap of style so much so I shall attempt something similar for Flora and Grace in the near future! Well you've got to give it to the French when it comes to chic they've got oddles of it from the stunning black evening dress, elegantly coiffured hair to the perfect Louboutin heels this is French style at it's very best......voila what a perfect evening!